Lumio red automatic coffee machine. My old manual coffee machine decided to die on me,I think the pump packed in . I looked on Amazon for a replacement,and I decided to go for the Lumia automatic coffee machine after reading the reviews. I was'nt disappointed a great little machine, and the coffee tastes great. I would have no hesitation in recommending this product, and what's even better I got the product from Amazon for £54.99. Bought this machine today at the bargain price of £49.99 which included 3 free boxes of pods. Only tried the mocha one so far using this machine and it tasted great although I did have to add a spoonful of sugar to the mocha. ( sweet tooth) looking forward to trying all the other flavours. It's very easy to use the machine and the coffee is very delicious! I have finally decided to buy my first Dolce Gusto machine :) . Went to Carrefour grabbed the beautiful Lumio and went straight home. Tried to do my first cup of coffee yet nothing came out. I thought i did something wrong, i read the manual yet nothing new. Tried again yet nothing came out again. Went back to carrefour and the sales man checked it and said it has a defect we will give you a replacement. After long procedure of return i received the replacement and i insisted to get it checked, and guess what !!!?? nothing came out again! I asked for a refund as i have no more trust in this machine, yet I still had the urge to have the beautiful Dolce Gusto coffee at the luxury of my home, so i went back and bought DROP machine and it was super amazing and after a long day i had a beautiful cup of coffee as a reward. 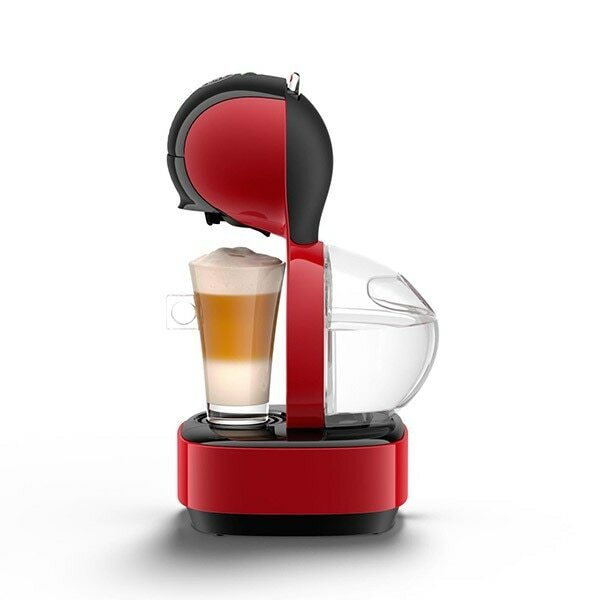 Bought one and never looked back, love the look of the stylish curves of our bright red machine, the best tasting Cappuccino i have tasted and the Chococino is so delicious.